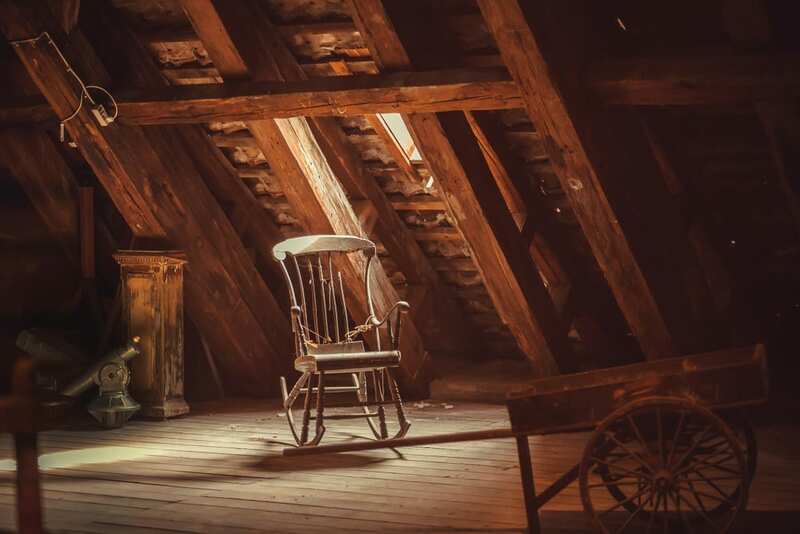 An attic is one area of the home that many of us don’t step foot in for months on end. At times, we can go a year or more without ever seeing the inside of our attics! Over time, this low traffic area becomes a perfect breeding ground for the common things like dust and dirt. It could also become the home of mold and mildew, and even the final resting place of four legged friends. An attic is prime real estate for pest infestations and this can lead to many issues that will require a professional to take care of. The good news is that by maintaining your attic on a proper cleaning schedule, you can stay in front of any major issues! A do it yourself attic check does not take long, saving you time and money down the road. If it has been a while since you’ve cleaned your attic, a professional team may be the best route to get the process started. At A&J Property Restoration, we provide professional attic cleaning services that will remove all the dirt, dust, and any other issues that have taken up residence in your attic! However, cleaning your attic can begin with your own methods before calling in the professionals. Assess the problems. It’s incredibly important to see what you’re dealing with in your attic. Some homes have minimal issues like the standard dust and dirt. This is an easy fix – a broom and vacuum typically take care of these problems! Bigger issues can be present in your attic. Rodents prefer attics for their warm temperatures and the insulation which makes an amazing bed. If rodent droppings are present in your attic, this has typically contaminated the insulation, which can cause contamination in the air, creating health problems for the household. If you discover the signs of rodents or rodent droppings, it is time to call in a professional cleaning service. Removal of the rodents themselves (which you can do on your own) is not enough to ensure that the bacteria caused by their waste is completely disinfected and that the air is safe to breathe. At A&J Restoration, we ensure that your attic is free of viruses and bacteria through the use of high level cleaning supplies that we use to sanitize the area. We also remove any contaminated insulation and reinstall new materials to keep your heating and cooling bills to a minimum. Heading into the attic is a dirty job! All of that dust and dirt is ready to attach itself to your clothing and back into your clean home. This is why it is important to get covered up before heading upstairs! Wear a mask. This is the most important step to attic cleaning. A mask will keep you from breathing in any airborne particles. They are incredibly affordable and easy to find in any hardware store. If you’re planning on crawling around on the floor, consider investing in a pair of knee pads. Attic beams and insulation do not provide much support. Wooden beams can be quite painful if knelt on for long periods of time. In addition to your mask, you’ll want to wear clothing that keeps you well covered and can easily go in the washer. Keep your skin covered from irritants like dust and insulation by wearing long sleeves, long pants, gloves, and even a hat to keep the particles off of your skin. Wash the clothing immediately after cleaning your attic. Remember to pay close attention to where you’re stepping or crawling! An attic can be tricky to maneuver through. One wrong move can cause you to sprain an ankle or hit your head on a beam, or even damage the flooring of your home! Always be aware of your surroundings and watching your step. While an attic can be cleaned through standard do it yourself methods like a broom and vacuum, it is recommended to leave the cleaning to a professional team that can safely remove all dirt from your home. A&J Property Restoration DKI is serving all homes in the Madison and Milwaukee area – call us today to schedule your attic cleaning before the spring.